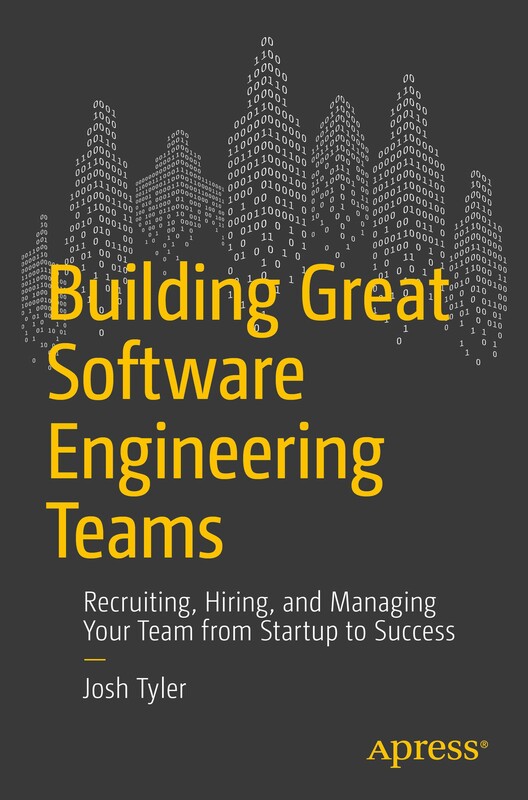 Last week, I was proud to publish my first book, Building Great Software Engineering Teams: Recruiting, Hiring, and Managing Your Team from Startup to Success. This book is the result of years of experience and writing on topics of software management and team-building, and was only possible because of the support of many people I’ve met along the way. The idea for the book originated with my writing here on Medium. With the support of a great editing team at Apress, and a lot of nights finding a few extra minutes to squeeze in some writing, it quickly became a reality. Here’s why I was driven to write such a book. After several years as a professional software engineer in a variety of Silicon Valley companies, I started to develop an interest in technical management. The primary reason was simple: I disagreed with decisions being made by my superiors (or at least thought I did) and realized the only way to do something about it was to get into those conversations. This wasn’t purely driven by hubris or an inflated sense of self-importance; I honestly felt I could make things better for the engineers with whom I worked. I believed we needed an advocate and representative for the technical folks on my team, and that I was the most willing and motivated to provide that service. My first real experience in management came at a local-events web-search company called Zvents. Later acquired by eBay, Zvents was in many ways a typical fast-paced Silicon Valley venture-funded startup. At the time I became a manager, my small team of engineers was working furiously on several initiatives as the company iterated and experimented on the product. I had a lot of ideas about how my team, and the company in general, could be doing things better — and I was certainly wrong about most of them. Over the next several years at Zvents, robotics research lab Willow Garage, and robotic telepresence startup Suitable Technologies, I gradually figured things out. Through a series of mistakes (some of which are detailed in this book), a consistent effort to learn by reading and consulting with experienced managers and leaders, and analysis of what has worked and failed in my own experience, I developed a deep appreciation for the challenges of the position and much sharper instincts about how to succeed. Only now do I believe that I truly understand what it means to build and manage a team. As vice president of engineering and design at Course Hero, the world’s leading crowd-sourced educational materials platform, I’m able to apply this knowledge and experience on a daily basis. With the support of our chief executive officer (CEO) Andrew Grauer, we’ve created a team that’s productive, sustainable, growing fast, and a joy to be part of. I don’t look at the information in my book as part of a zero-sum game. By sharing what I’ve learned, I hope to make others more effective in their work, help build value in interesting new companies, and, perhaps most important, make engineers around the world just a little bit happier.